Folks celebrated Earth Day this year with a “March for Science” around the nation. The marchers’ message is, ostensibly, that policy should be based on science and not things like emotion, morality, or politics. But is this really what they’re after? Or is this more of an attempt to legitimize their own emotions, morality, and politics by claiming for them the label of “science”? It’s ironic that nationally and locally the science marchers’ most visible spokespeople, Bill Nye and Bill McKibben respectively, are not actually scientists (nor is Al Gore for that matter). McKibben is a journalist, and Nye got his big television break performing as a stand up comedian. Nye calling himself “the Science Guy” instead of “the Scientist” is kind of like the cereal Froot Loops using creative spelling to avoid a fraud lawsuit over the fact that there isn’t any real fruit in them. But here is why I am most skeptical about the motives of the marchers: they are trying use “science” – the word, not the process — as a way to end debate rather than to further it, and that’s not what science is about. Science is an ongoing process of open-minded experimentation and learning, not a mic drop slogan. Real science doesn’t accept consensus; it challenges it. And great scientists obliterate consensus. A sign featured at one of the marches said, “Think You Can Stifle Science? Ask Galileo How That Worked Out!” This is a great example. Galileo went down in history for standing up to a scientific consensus at the time probably exceeded 97%. He was jailed for being an Earth-Centric Denier, and forced to recant his findings. Today, like the Inquisitors who persecuted Galileo, Nye very unscientifically called for criminalizing and jailing scientists who do work challenging the consensus on climate change. What the marchers are really attempting to do is politicize and weaponize the word “science” so that they can use it a means to avoid debate and shut down their opposition without actually having to present facts or a cogent argument. This is the opposite of real science, and is actually dangerous to real science. Science constantly questions assumptions and forces conventional wisdom to defend itself through a rigorous process of experimentation. As Einstein explained, “No amount of experimentation [science] can prove me right. But one experiment can prove me wrong.” I didn’t get the impression these marchers had any interest in allowing a process, scientific or otherwise, to question their assumptions about the world, let alone open themselves up to the possibility of being proven wrong. Here in Vermont, for example, activists and some legislators are pushing hard to pass a carbon tax. They say we need to do this in order to save Vermont winters and the maple syrup industry from climate change. Anyone who disagrees with this carbon tax policy is a climate or science “denier.” End of debate! Drop microphone. Walk off stage. But, if you genuinely believe science should be driving policy, you would demand to see the scientific data showing how Vermont’s passing a carbon tax and related energy policies would impact local and global climate trends. You would demand to see scientific proof that these policies would impact weather in Vermont to a degree where winter snowfall levels and maple trees will remain as they are into the future. Without such data, you couldn’t support the policy because it’s not based on science. Nobody’s asking to see the scientific data here because it would show pretty definitively that a carbon tax and Vermont going to 90% renewable energy sources by 2050 would have zero impact, would not affect winter or maple trees, and, scientifically speaking, it would show Vermont’s energy policy to be about as sound as ritually sacrificing a goat to the volcano god. They want to do it anyway. To heck with science. Science is certainly a critically important tool for learning about ourselves and our universe, and it plays an enormous role in human progress. But, it is by nature a learning process, and let’s not forget it is often wrong. A great article came out a couple of days before the March for Science titled “How Settled Science Caused a Massive Public Health Crisis” about sugar vs. fat. The scientist who forty-five years ago warned that sugar, not fat, was the real culprit behind obesity, heart disease, and diabetes was vilified, his career destroyed, for challenging the scientific consensus and public policy of the day. Science claimed the victory for sugar. Really, it was politics that won. Lesson learned? It doesn’t appear so. As an RN I have a scientific background. I stand with you. “Settled Science” has done a great deal of harm to the people. Great article. Thanks for all you do. Sharing!! I absolutely agree that a “carbon tax,” is a horrible idea – a typical liberal band-aid fix to a serious problem that will do more harm than good. However, arguments made attacking the “science” of global warming are so obviously “bought-and-paid for,” opinions on behalf of moneyed interests that they have zero credibility to the objective observer. Nearly everybody instinctively knows that burning fossil fuels is bad for the living breathing denizens of our blue planet and that we need to be moving in a brisk, orderly fashion toward cleaner, sustainable alternative energy sources. There should be no tolerance for political intrigue or interference in this. Yes and no, Jim. Burning fossil fuels has its issues for sure, but it also has some positive attributes. Let’s not forget that adopting fossil fuels over other resources allowed for the reforestation of the continent, saved the whales, and played a part in ending slavery. Since we started using fossil fuels the human life span has more than doubled. Most science is “bought and paid for.” Somebody is funding it and that somebody, be it the government or Exxon Mobil, has an agenda. Moreover, many of the so-called environmentally friendly alternative energy options currently on the table have drawbacks to go with their attributes. They are extremely land-intensive and therefore very disruptive to eco-systems. It’s also at present very expensive and unreliable. The science on both sides should be carefully weighed in a cost/benefit analysis. Well, Rob, that argument is pretty weak. You make oil and coal out to have been a benevolent steward to the planet by saving the whales and forests, but honestly the whaling and lumber industries pretty much ran themselves out of business by over-fishing and over-cutting until their resources were depleted. The last 30% or so of the deforestation in Vermont, for example, wasn’t for clearing land for agriculture or cutting boards for building – it was cut into cordage and burned up in the railroad locomotives before they converted to coal and diesel. Electrification and oil refining just moved in to fill those gaps when supply became scarce and demand increased. Fortunately for us, forests and oceans are renewable resources and we had enough foresight as a nation to manage them. Fossil fuels are not really renewable (well they might be, but it takes eons, not decades), and it would make more sense as a society to save the reserves we have left for more important uses (such as petrochemicals) rather than burn every last drop of it up. This is a large-scale societal issue, but the problem is that more and more of our decision-making is being driven by Wall St. with no concern for the future. There is a balance between perpetuating our standard of living without destroying the planet for future generations. We need to be making more of our decisions with that type of consideration, rather than being driven by greed and profitability. Do they really purport to save the Maple trees and us? Don’t we all need carbon to survive? Thanks for the great article and the reminder of what true science is all about. Sorry, Robb, but you’ve failed to rope me in. The thesis you offer is that Real science doesn’t accept consensus; it challenges it. Your unspoken conclusion is that we should just “keep studying”. So, we should simply continue studying whether cigarettes are directly linked to cancer…and we should feel safe puffing away…We should just keep studying and delaying and studying until the cows fill Lake Champlain with manure. And Mary Daly , it’s true we need some carbon to survive. But how much. The Daly family needed Mary to continue onto the next generation, but how many Mary;s did they need. How many Mary’s in the Daly house would create problems. We should just keep studying that question. Time for my smoke break. Time for Robb Roper to put the kids in the back seat of his family Corvair, wonder it seat belts would make them safer. 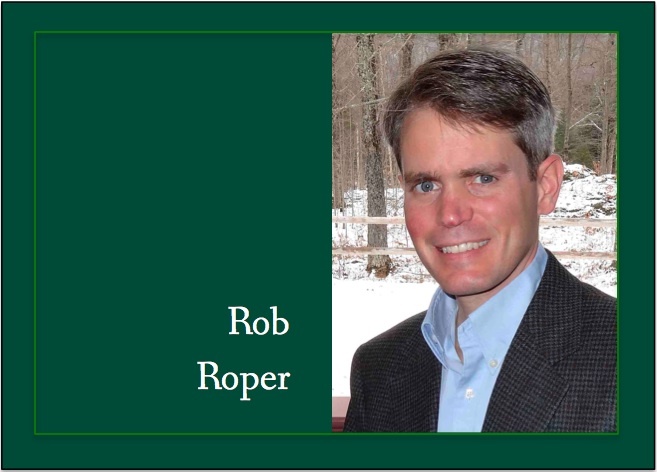 Because, as Robb Roper has written “science is often wrong”..
Not at all, Robert. Science should inform our decisions. So should morality. Don’t forget, the eugenics movement was based on science. How to use science and our new knowledge of the genetics to improve the human race! Not such a wonderful enlightened outcome. Constantly learning does not mean never taking action. You’ve created a straw man argument here. But politicians should be forced to take the Hippocratic Oath — first do no harm. There is good evidence that smoking harms health. There is no evidence a Carbon Tax in Vermont or even nationally or globally will do anything to stem climate change and save snow in Vermont. If there is, show me! I’ve been asking VPIRG to show me for three years. Nothing. Even if climate science is imperfect and incomplete (granted) your argument is bogus and fear laden. Vermont specifically needs to explore new energy and economic avenues based on the centrist consensus that has emerged. This is not radical left wing oriented information Rob (as you’d like to believe). The consensus he’s been constructed by thousands of conservative minded scientists. You choose to use the self-righteous guise of science guardian in a cheap attempt to broaden the language of the myopic, singular purpose of your laissez-faire “Institute”. Mr. Bennet pretty much said it all above. Your cover has been so poorly woven for years that only fringe remains! Hi Rob, Great to meet you at the Jefferson Day Dinner. I’m with you, of course, about the nature of science. It invites and needs skepticism. That’s how it works. However I have a quibble with your argument: “Nobody’s asking to see the scientific data here because it would show pretty definitively that a carbon tax and Vermont going to 90% renewable energy sources by 2050 would have zero impact….” The counter argument is easy to put forward. Imagine that we said that since a single home’s going 90% (renewables) by 2050 isn’t going to change Earth’s climate, 90% by 2050 has no value. To argue that Vermont’s 90% by 2050 goal is pointless b/c even if we do that, it would make no measurable difference to Earth’s climate (b/c we’re too small a state, it would be too small a contribution) sounds like a false equation, a straw man. The real question? If everyone on Earth went 90% by 2050, presumably following Vermont’s example, would the Earth’s global temperature be reduced meaningfully as a result? The underlying question is, is CO2 the primary–or even an important–climate driver at current and reasonable future levels? If a group argues so, where’s the proof? Let’s see the data. It is, after all, up to those making the unusual claim to provide the proof of that claim, not the responsibility of others–in our case, those required to pay for those renewables–to disprove it. The one true thing in all this (not so) settled science is that plants love CO2 and would like a whole lot more if we’d be so kind. Healthier plants that, by the way, largely use water more efficiently would seem a good thing. Another is that Taylor Dome and Law Dome ice core data among other similar proxy data covering the last 1000 and more years indicate that CO2–roughly 283 ppm with v. little variation through the Medieval Warm Period and the Little Ice Age, for example–has not driven climate in the past. The question that naturally falls out of that is: so why should it be doing so now? One could claim that, well, the ice core data is garbage but that leaves us with the same result; if so, where’s the data supporting the “CO2 drives climate” thesis? Without that, all this carbon stuff is just guessing and we’re back being driven by belief rather than science. The science of human-caused climate change has been building for decades now. There were (and are) skeptics, but the data just continues to support the theory that carbon dioxide, methane and other greenhouse gases are causing the planet to heat up and weather patterns to change. Evolution and plate tectonics are two relatively recent theories that were initially met with skepticism and dismay, but over time they developed more and more credibility and now they form the basis of biology and geology. The same thing is happening to climate change. It is building up more and more credibility. 30 years ago 97% of scientists probably didn’t buy it, but now they do. Science is open to new evidence and ideas, but after a while there is no point in waiting to see if the theory will be debunked. Just go with what we know. Sure. But what does the science say about proposed solutions? Here’s my frustration, you are arguing that climate change is real, and humans burning fossil fuels is CO2 is at least partly to blame. 97% of scientists agree. Ok. What do those same scientists say will happen in Vermont passes a carbon tax and/or gets 90% of its energy from renewable sources by 250? Or, if the whole world does that? From what I see, the answers are “nothing” and “not a whole helluva lot.” If you’re going to wrap the diagnosis in science, be consistent and apply the same science to proposed solutions. That’s all I’m asking.